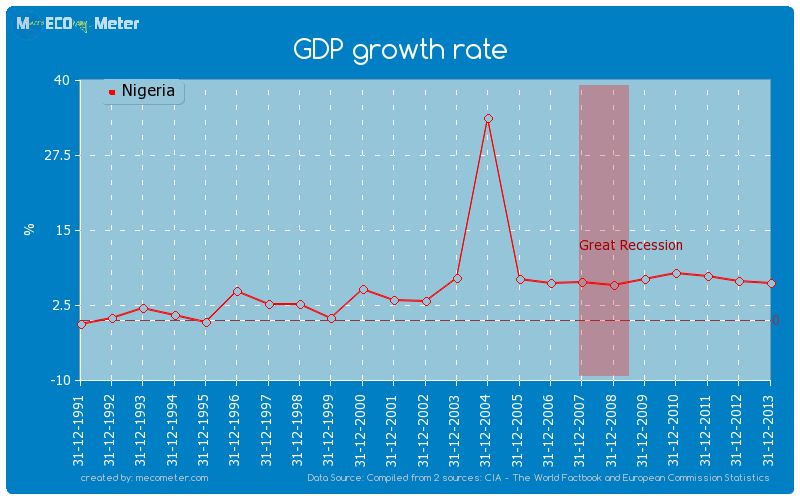 Value & RankThe GDP growth rate of Nigeria is 6.20 (%) with a global rank of 35. 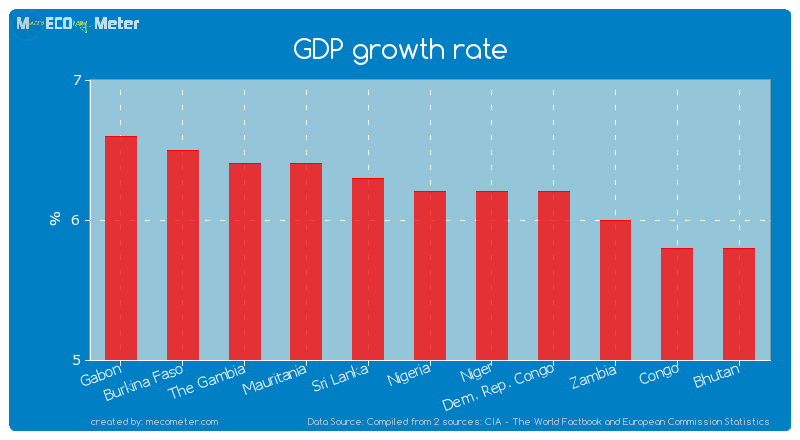 Nigeria compared to other CountriesThe GDP growth rate of Nigeria is similar to that of Gabon, Burkina Faso, The Gambia, Mauritania, Sri Lanka, Niger, Dem. 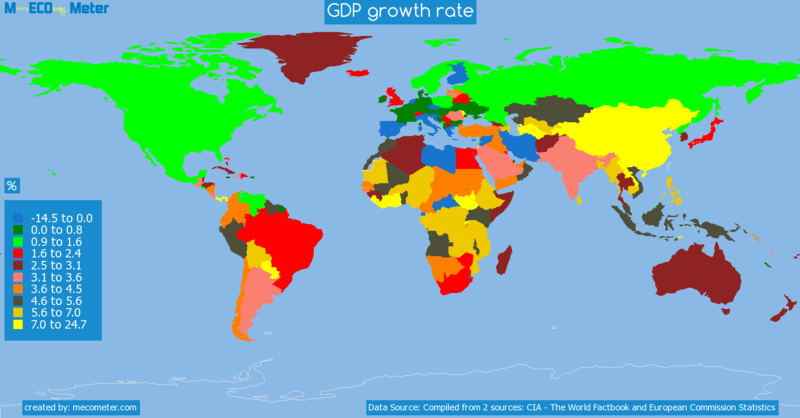 Rep. Congo, Zambia, Congo, Bhutan with a respective GDP growth rate of 6.60, 6.50, 6.40, 6.40, 6.30, 6.20, 6.20, 6.00, 5.80, 5.80 (%) and a global rank of 30, 31, 32, 33, 34, 36, 37, 38, 39, 40.